This chunk of National Forest land is perfectly located in between 2 very popular National Parks – Kings Canyon and Sequoia. 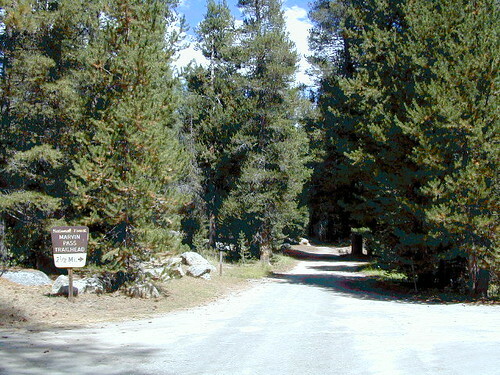 This primary paved road leads to some great camping, a perfect option for NOT camping inside the crowed National Parks. In the first few miles, the dispersed camp sites on the right side have great views & some situated on fairly flat granite slabs, perfect for astronomer campers or adventurous RVs. To the left side of the road is more primitive style campsites in wooded areas. The whole area is also a very popular cross country ski & snowmobiling spot for winter recreation. Hunters also like these camps during hunting season (in September). There is a developed Horse Camp on the left side of the road for equestrian campers. This camp is located across from the biggest meadow and may be the first place you notice on this drive. Buck Rock Campground (7600′ elevation, 5 spots) & Big Meadows Campground (7600′ elevation, 25 spots) are both family style camps, perfect for those who want picnic tables, plus bathroom nearby. Sorry no flush toilets out here, only pit toilets. Buck Rock Fire Lookout Tower @ 8500′ elevation – is located to the north on Forest Rd # 14S02. It’s a great spot for some impressive views – if you aren’t afraid of heights. To reach the tower you must climb several flights of steel steps. This place is worth a stop if planning a sightseeing day. Big Meadows Guard Station @ 7500′ elevation (also known as Big Meadows Cabin), is located next to the BIG MEADOW and is available for rent on a weekend basis from the NFS. Hiking Jennie Lakes Wilderness and fly fishing Big Meadows Creek are favorite activities to be enjoyed. Big Meadows Road is long & narrow – 12+ miles. RVs are not recommended beyond the Big Meadow Campground, as the road is one lane in some spots & it skirts a cliff edge. The views are incredible the farther you go & many creeks feed the region. The narrow, long paved road eventually forks off into several smaller dirt roads back near Horse Corral Meadow. Way back here, the dirt roads lead out to trail heads for backpacking, horse packing or day hiking in Jennie Lakes & Monarch Wilderness. 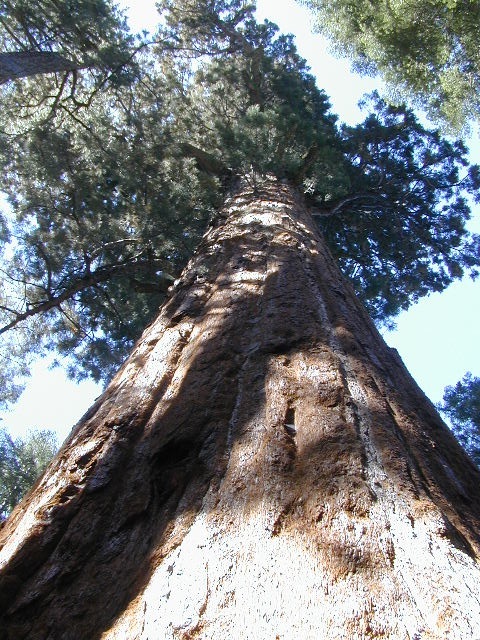 Backcountry access to either Sequoia or Kings Canyon National Park! Have a good map if you plan to venture out this far. Pay attention & don’t get lost. GPS would be helpful in this area. Some of the smaller of the dirt roads are not even on the NFS maps. Make sure to GPS way-point your favorite camp site, so you can find in next time…. in the dark.